As the market-leader we aim to set the standard in everything we do whether its quality products, innovation, technical expertise or support services. These high standards also extend to environmental management through the product life cycle from raw materials sourcing, product manufacture and consumer use. To celebrate and reaffirm our commitment to environmental good practice, BAL has linked up with Cool Earth – Europe’s fastest growing environmental charity. 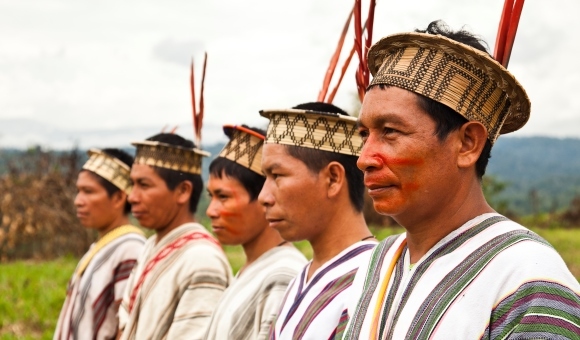 Backed by prominent broadcaster and naturalist Sir David Attenborough, Cool Earth works with indigenous people in Peru threatened by rainforest destruction. More than merely a pressure group or campaigning body, Cool Earth protects areas of rainforest in imminent danger of being cleared, in such a way that this then forms a protective blockade for tens of thousands of acres of adjacent forest. Cool Earth funds a local trust, making the local community the legal custodians of the land, and uses community rangers and satellite imagery to monitor and protect the rainforest 24/7 from illegal activity. So far, Cool Earth has already saved over 200,000 acres from deforestation – an area larger than Middlesex. Protecting some 46 million trees has prevented over 52 million tonnes of CO2 emissions. 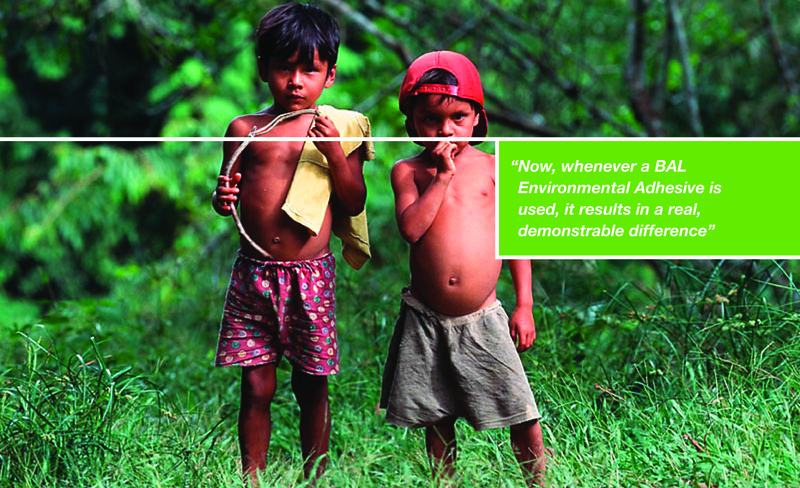 BAL is the only manufacturer of tile adhesives, grout and preparation products in the UK and Ireland to protect the rainforest via Cool Earth. Through our partnership with Cool Earth for every square metre of tiling laid with a BAL adhesive, a square metre of rainforest is protected. That means for example, for every 20kg bag of BAL Rapidset Flexible Fibre that you sell to your customers, a 10m² area of Peruvian rainforest will be protected. Thanks to our partnership with Cool Earth, every single sack sold can make a positive difference in fighting climate change. BAL joined forced with Cool Earth in 2011, but only after the charity carried out a thorough audit of our environmental credentials including our policies, activities and achievements. Following exhaustive checking, BAL was appointed as a Cool Earth official partner, joining such organisations as Tesco, the Co-operative Bank, Brother, Morgan Stanley and Talk Talk. It also joined more than 130,000 individual supporters worldwide, from every walk of life.